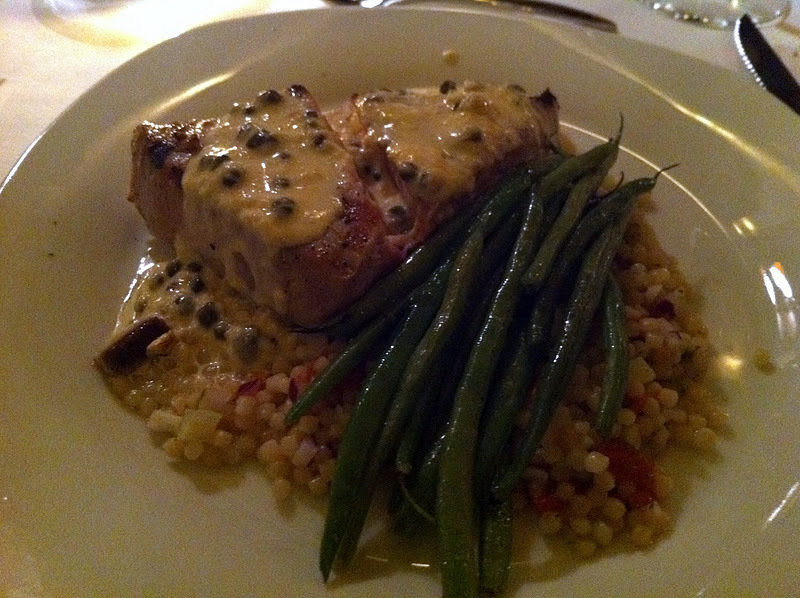 My main course was a tuna steak with string beans on top of large couscous. The sauce was an amazing cream and pepper that I wish I knew how to make. 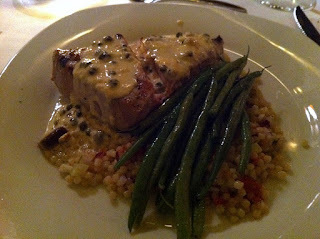 All the rage these days is tuna steak served rare or almost rare but I guess the French style is more well down. I was surprised how well it turned out and how well the sauce was a perfect compliment. The only way I know how to end a great French meal is with a great French crepe. 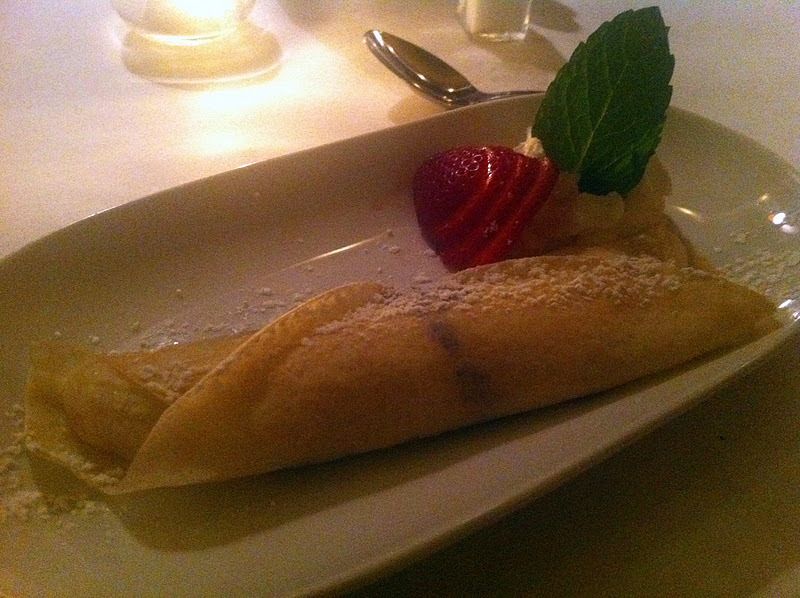 Our dessert crepe was filled with banana and nutella. It was a good as it was simple and tres french. Simplicity at a restaurant is a quality going extinct. This small French bistro knows what it does best and doesn't try too hard to do too much. 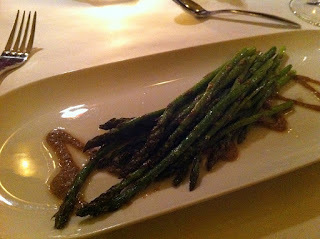 They serve classic french dishes prepared with a modern touch and delicious rich flavors. There's also a charm factor of a small bistro under the El tracks with only 20ish seats and a small menu. It might not be the most hip and trendy place but that's likely a bonus for the repeat neighborhood customer base. I sometimes complain that the recipe for a great restaurant is not complicated: serve great food at reasonable prices with good service in a nice environment. I commend Bistro Voltire for following the simple recipe and providing a great product and one of the best meals of the year.